Members of the Detroit Geographic Expedition and Institute (DGEI) examined population in a cartogram of Southeast Michigan in 1970. 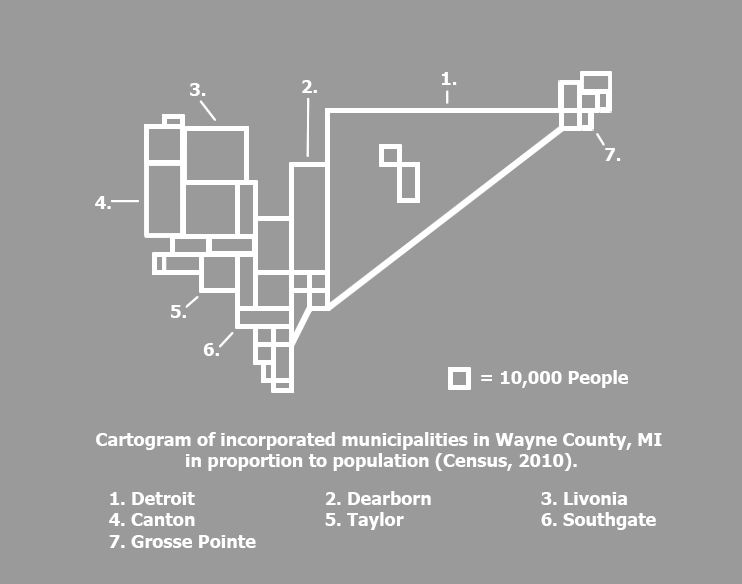 I partially recreated the cartogram looking at just Wayne County population numbers from 2010. The map helps to demonstrate Detroit’s prominence and population among other regional municipalities. Although this map shows population, another interesting application could be looking at regional municipalities by power and influence when it comes to policy and decision-making. 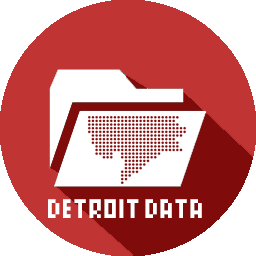 Detroit may still be the largest city, but now holds political sway for different reasons.